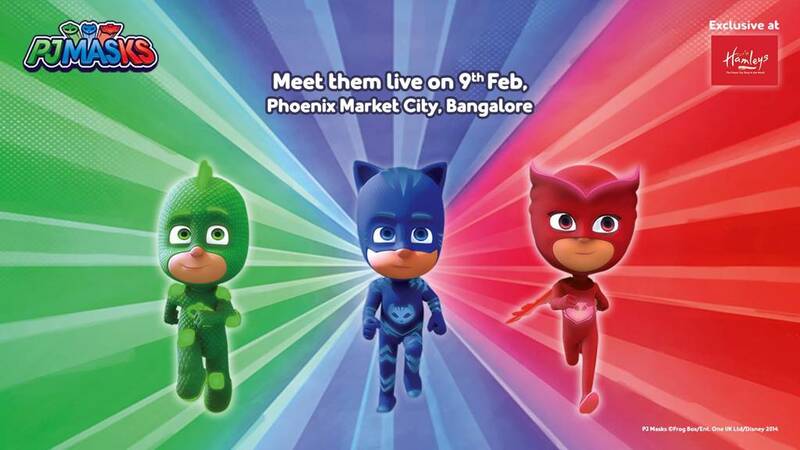 PJ Masks are finally here to make your day super adventurous with an exciting meet and greet session. As the day unfolds, the fun will multiply with thrilling activities, amazing games and crazy photo sessions with Catboy, Owlette and Gekko! The event will be held in 4 batches of 1 hour each. See you all at Phoenix MarketCity, Bangalore on 9th Feb ’19!